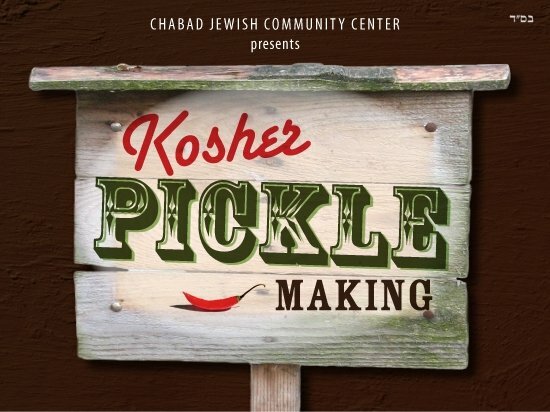 It's time to roll out the barrel for our next Kosher Pickling Workshop featuring local expert Leon Stern, who will once again share his secrets for producing the best traditional pickles at home. This is a hands-on workshop in which you'll learn the same methods used by the original pickle masters of New York's famed Lower East Side. Stern says he uses only "simple but healthy" ingredients to assure the quality of his foods, which include sauerkraut and other pickled vegetables. But wait! That's not all. Stern also will demonstrate how to produce home-made naturally fermented soda in one day. This is an excellent alternative to commercial products, since you control what goes into it. You will go home with pickles ready to mature and then eat and a bottle of refreshing ginger soda. And, better yet, you will know how to produce both in your own home. Click here to view pictures of the last pickling workshop.